Take a break from the hustle and bustle of the mainland on a Dalmatian archipelago cruise from Trogir. 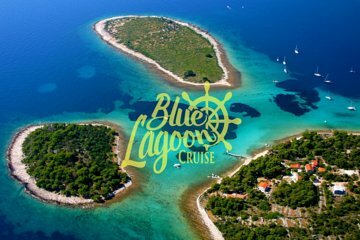 Absorb coastal vistas as you sail the Adriatic, dropping anchor to enjoy highlights including the Blue Lagoon and Šolta island. Avoid hidden costs with lunch, soft drinks, and use of snorkel gear included, and benefit from on-board live commentary for deeper insight into the scenic region.